BULAWAYO, (CAJ News) – BOUYED by record gold production and political changes in Zimbabwe, Canadian gold mining firm, Caledonia Mining, appears eager to raise at least $4 million and buy back a stake previously ceded to indigenous entities. The capital would also finance exploration and evaluations of additional projects in Zimbabwe. 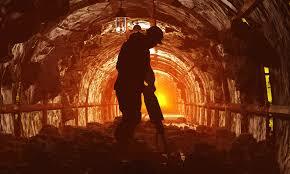 Blanket Mine, its subsidiary south of Zimbabwean, will underwrite the funds. Steve Curtis, Chief Executive Officer of Caledonia Mining, said assuming Blanket’s indigenous shareholders did not subscribe for shares in accordance with their rights, it was expected that, subject to the terms of the rights issue, Caledonia’s shareholding in Blanket will increase from 49 percent to slightly over 50 percent. Caledonia will also evaluate the potential to buy the shareholdings in Blanket that are currently held by certain indigenous shareholders. Curtis said any transactions would reflect the value of the indigenous shareholders’ holdings in Blanket after deducting the value of their outstanding facilitation loans and would be subject to a mutually agreed valuation of the holdings in Blanket. On Wednesday, Caledonia reported gold production for the year ended December 31, 2017 was a new record with 56,133 ounces (1 591kg) produced.